In the 10th century the Count of Blois, Eudes I, built a fortress to protect the city from the attacks of the Count of Anjou. In thanks for his support, Eudes gave Chaumont to the Norman knight Gelduin the Younger. His son and successor Geoffroy, who did not have children, chose his his niece, Denise de Fougères to be his heiress. In 1054 she married Sulpice I of Amboise. 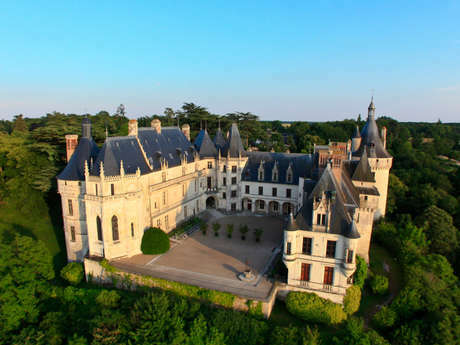 Thus, Chaumont became the property of the family of Amboise for about five centuries. In 1465, Louis XI had the buildings and extensions destroyed to punish Pierre d'Amboise for having rebelled against the king's power. A few years later, in 1469, the king pardoned Pierre restored his lands and gave him funds for the reconstruction of Chaumont. From 1468 to 1510, the north wing (now replaced), the west wing and the beginning of the south wing were built by Pierre's son, Charles I, in the Gothic style. The south wing, the gate house, the east wing, the chapel and the grand courtyard staircase were completed by his grandson, Charles II, in a style more marked by the Renaissance. In 1560, Catherine de Medici, widow of King Henry II and regent of the kingdom of France, bought the Château de Chaumont and forced Diane de Poitiers, former favourite of the king, to give him Chenonceau in exchange. Catherine carried out some restoration and affixed her own emblems above the decorative stonework of the walkway. Between the end of the sixteenth and the middle of the eighteenth century, the Château de Chaumont passed through several different hands. In 1750 it was acquired by Jacques Donatien Le Ray, future intendant of Louis XVI. He knocked down the north wing to open the main courtyard to the Loire and founded a pottery and glass factory in the site of the present-day stables, which attracted many artists, led by the sculptor and engraver Jean-Baptiste Nini. Jacques Donatien Ray hosted Benjamin Franklin in 1776, and saved the château from the French Revolution. His son, known as "Le Ray the American" sold the property to the Baron of Etchegoyen in 1823. In the nineteenth century, the château belonged, successively to the Count of Aramon and Viscount Joseph Walsh who both carried out major restoration work. In 1875, Marie-Charlotte Constance Say, daughter and heiress of the rich Constant Say, the sugar cane magnate, bought the estate, and a few months later married Prince Henri-Amédée de Broglie. This wealthy couple continued to enlarge and improve the estate with the help of the architect Paul-Ernest Sanson. They restored the exteriors, modernised the interiors (electricity, central heating, running water) and built the stables. In 1884, the landscape architect Henri Duchêne redesigned the park surrounding the château. Eventually, having spent all their fortune and owing enormous taxes, the princess yielded the estate to the French state for 1,800,000 gold francs in 1938. 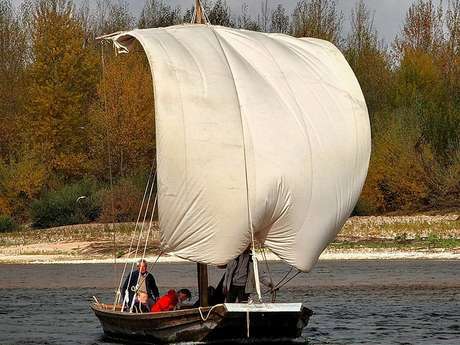 Since 2007, the Regional Estate of Chaumont-sur-Loire has belonged to the Centre-Val de Loire Region and in October 2008 became a Cultural Meeting Place, an establishment recognised by the Ministry of Culture and Communication for its missions to safeguard the national artistic and cultural heritage. Save money by buying tickets for multiple visits online. 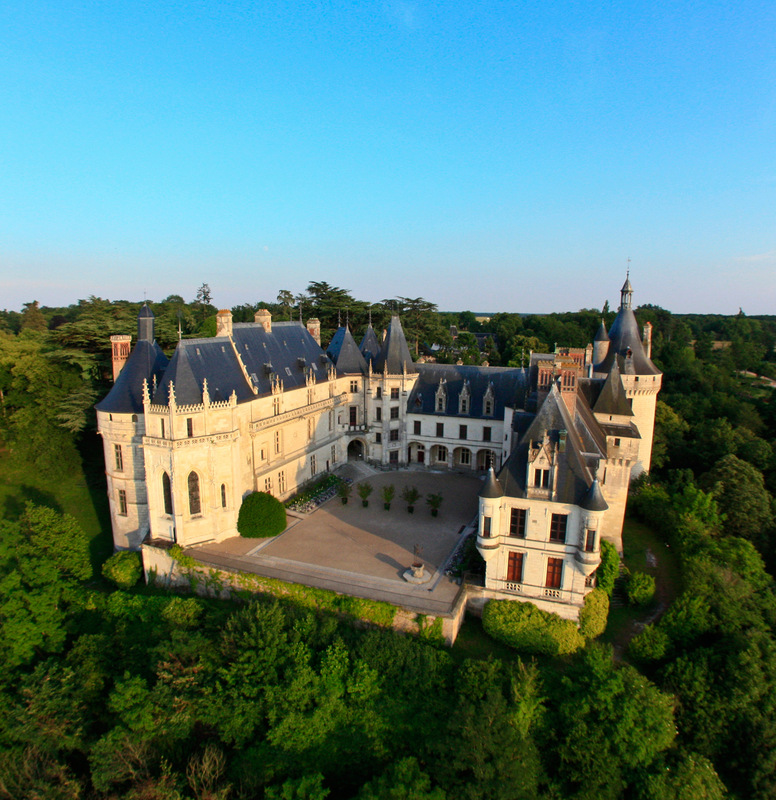 Check out or our special offers - they allow you to visit the various châteaux in the Loire valley at a reduced price.. The Château de Chaumont had no garden in the sixteenth century - it was not until the 19th century that the Count of Aramon planted several species of trees, including the cedars. However, the main architect of the grounds is undoubtedly Prince Henri-Amédée de Broglie, who who developed the park in the English style with the help of landscape gardener Henri Duchêne. Prince de Broglie moved the cemetery, demolished two hamlets and the church, rebuilding the banks of the Loire. By 1917, year of his death, the Chaumont estate had nearly 2,500 hectares of woods, farms and land. The landscaped park itself represents 21 hectares of the total. 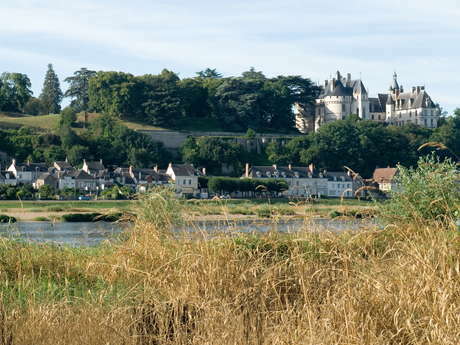 Since 2008, The Regional Estate of Chaumont-sur-Loire has been a centre of artistic and landscape creation. Each year, exhibitions of the visual arts and photography, concerts and film screenings make the place a living art venue "dedicated to the relationship between nature and culture."